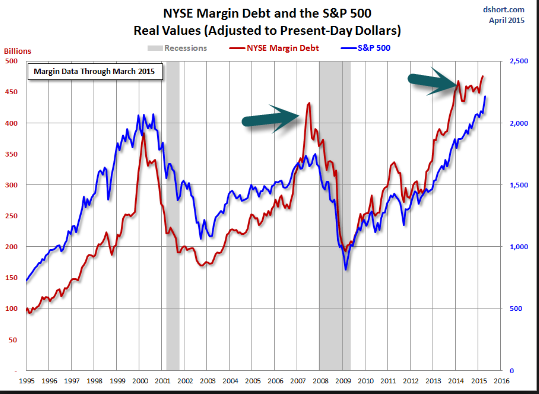 1.NYSE Margin Debt Higher than 2007. When oil prices started falling in mid-2014 from a level around $120 the associated problems in the energy sector outweighed the positive effects on the consumer and the rest of the economy. With oil prices currently stable around $50, the positive effects on the consumer and the energy-consuming parts of the economy are dominating. 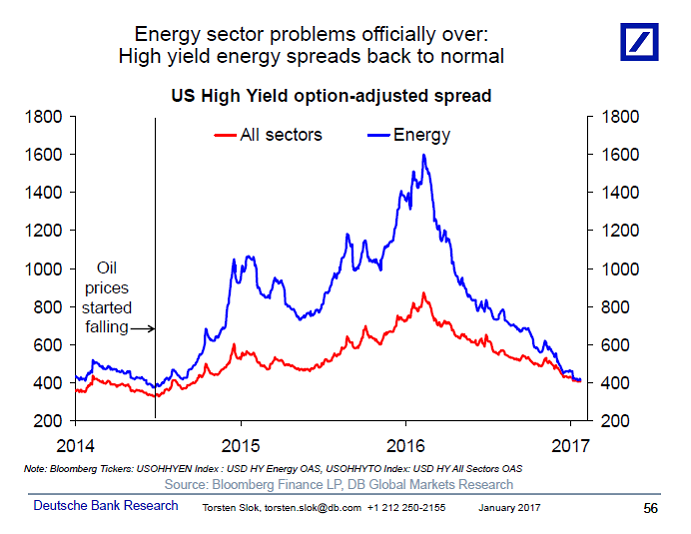 The bottom line is that the chart below shows that the problems in the energy sector are officially over and this is good news for the macro outlook. 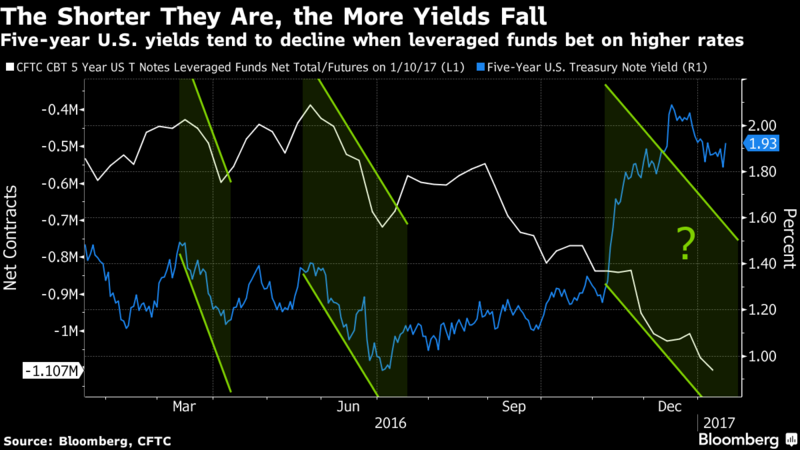 3.Hedge Funds and Speculators have Massive Bearish Bet on Treasuries. There’s a big showdown looming in the U.S. Treasury market. The “fast money,” made up of hedge funds and other speculators, upped its bearish bets like never before this month, based on futures data for five-year notes. At the same time, “real-money” accounts, composed of institutional buyers like mutual funds and insurers, did the opposite and built up their bullish positions in much the same way. What will happen, especially in the era of Donald Trump, is anyone’s guess. But for JPMorgan Chase & Co.’s Jay Barry, the speculators are sowing their own demise. While Treasuries have suffered five straight months of losses, fast-money investors tend to be reliable contrarian indicators whenever they crowd together. More than 75 percent of the time, the market moves the other way over the following month, his figures show. The recent backup in yields is already starting to lure long-term investors back into Treasuries. “I’m surprised the speculative data remains as short as it does,” said Barry, a U.S. fixed-income strategist at JPMorgan. 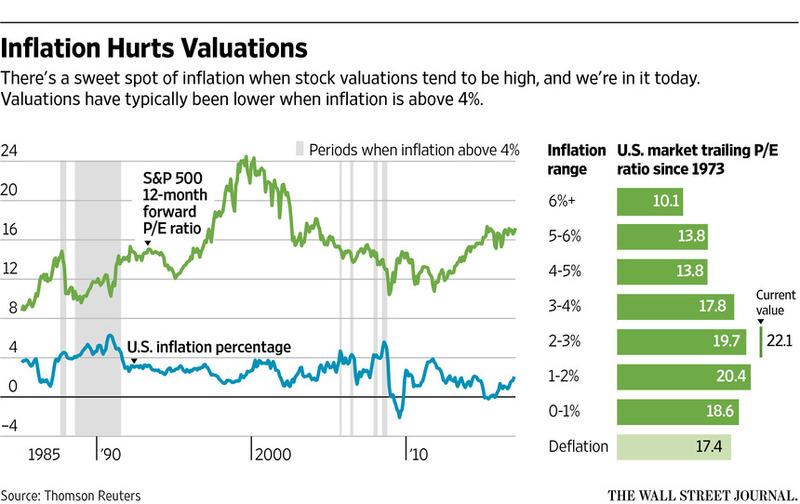 Every cycle is different, but in the past there often has been a break in markets when inflation hits 4%. It would be misleading to say 4% inflation is guaranteed to be the point where the market going gets rough. Yet, that level has often been a decent warning signal. In 1987, for example, inflation hit 4% in August and the market crashed in October. In 2000, the dot-com bubble burst with inflation at 3.75%, while stocks hit their pre-crisis peak in October 2007, the month before inflation broke through 4%. 5.Most Shorted Stocks Getting Trounced…Consumer Death by Amazon Shorts Working. 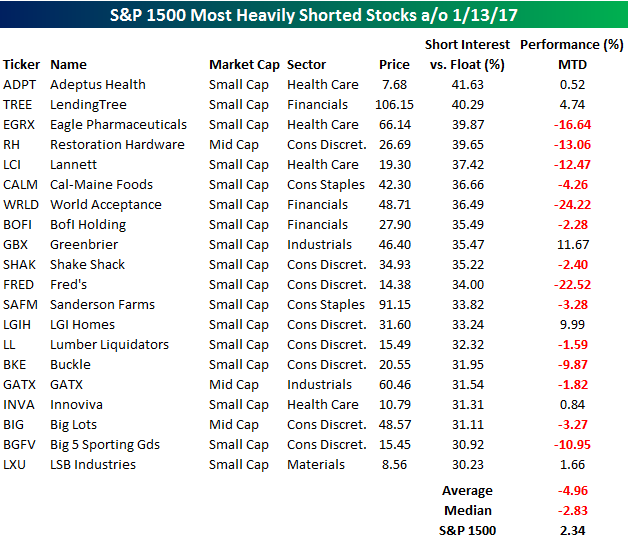 Short interest figures for the middle of January were released after the close Wednesday and as the rally in equities stalled out, traders took the opportunity to add some shorts to their books hoping that the stall would turn into a downdraft. The table below lists the 20 stocks in the S&P 1500 that have 30% or more of their free-floating shares sold short, and for each stock we also include how they have fared so far in 2017. Even though equities have rallied so far this year, the most heavily shorted stocks have completely sat out of the rally. The average return of the 20 stocks listed is a decline of 4.96% (median: -2.83%). In terms of breadth, it’s just as weak with only six out of the twenty stocks posting YTD gains. The primary culprit behind the declines in the most shorted stocks this month is the consumer. Of the 20 names listed, eight are from the Consumer Discretionary (6) or Consumer Staples sectors (2), and of those stocks just one (LGIH Homes) is up YTD. Collectively, these stocks are down an average of 6.1% on the year, while the other 12 stocks are down an average of less than 4%. We’ve been discussing the ‘bricks to clicks’ trade and our Death By Amazon index for several years now, but based on the performance of many consumer related stocks so far this year, a lot of investors in the sector seem to still just be figuring it out. 6.Is Death by Amazon Coming to Auto Parts Industry? What do I mean? 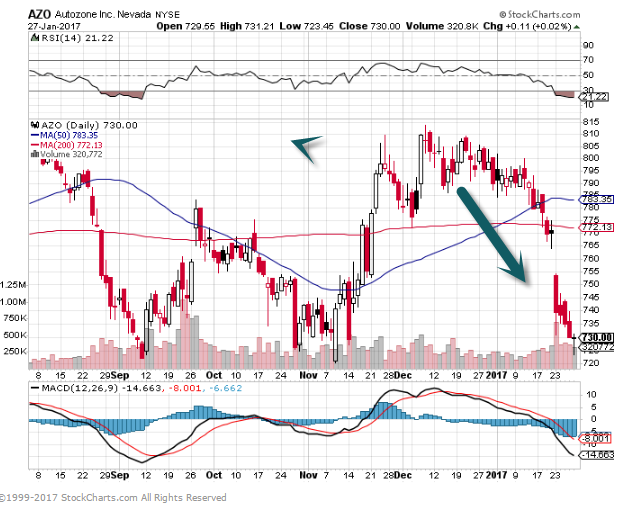 For years now, investors have known that someday Amazon.com (AMZN) and other online sellers would be a threat to auto-parts retailers, but they have largely dismissed the risk—in many cases rightfully so, as the stocks would sell off and then bounce back. 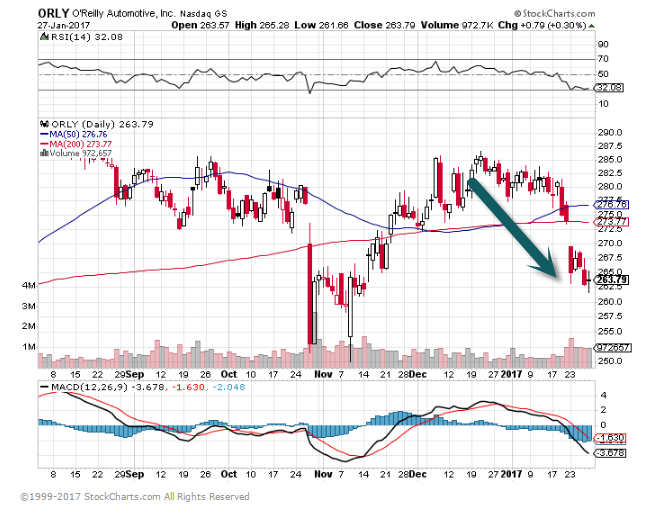 So when the New York Post reported last Monday that Amazon had started to target the U.S. auto-parts retailers, the stocks reacted: Shares of AutoZone fell 4%, Advance Auto Parts dropped 2.2%, and O’Reilly Automotive tumbled 3.3%. And analysts, who are predominantly bullish on auto-parts retailers, rushed to defend the stocks. 7.Continuing the U.S./Mexico Trade Discussion…. Breaking that down further, some 4.9 million jobs are at risk from frozen trade, which means one out of every 29 U.S. workers has a job supported by trade between the countries, he said. When looking state by state, the data referred to 2014 numbers that showed California most vulnerable with 556,000 jobs dependent on trade, while Texas was equally at risk with 382,000 jobs relying on that relationship. 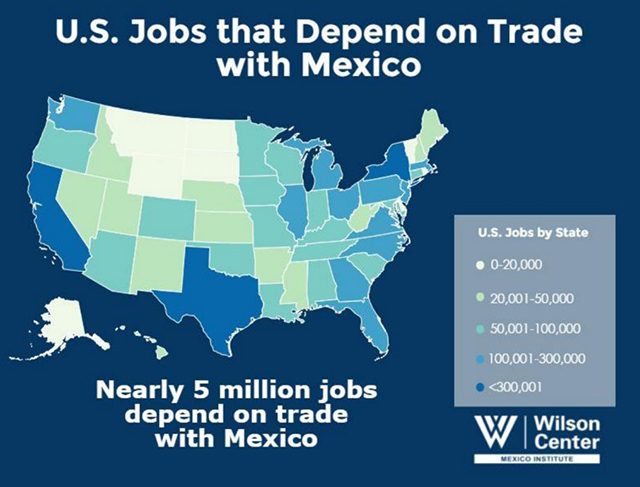 The study calculated the net number of jobs that are depending on U.S.-Mexico trade both directly and indirectly, such as jobs supported by the production of goods for export that would be lost, and then jobs that would return to the U.S. to produce goods that are currently imported. And here’s a separate chart put together by Nafta Works from Mexico’s Ministry of the Economy that published last September. It breaks down state by state how many jobs are at risk. 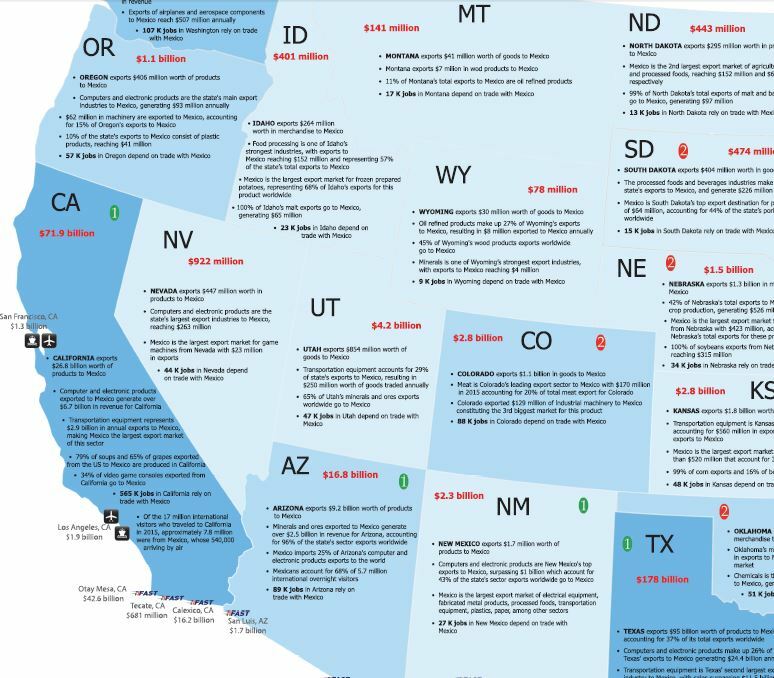 This PDF link gives a closer look at each state. 8.Cutting the Corporate Tax Rate…Breakdown by Sector. The best starting point for analyzing corporate tax reform is the US statutory corporate tax rate, as this rate is critical in determining the impact of other proposed changes (border adjustments, interest deductibility, etc.). If the tax rate were lowered from 35% to 20% and the US moved to a territorial tax system (no longer taxing foreign profits), all else equal, we estimate an initial boost to S&P 500 EPS of 12% ($17 to 2018 EPS). However, over time, some of this benefit could be passed on to customers via lower prices — for instance, it is unlikely that there will be any major long-lasting impact from tax reform for Utilities sector profits, as any benefit/cost would likely be passed through to customers when incorporated into each company’s regulated pricing. The benefit would also be offset by some of the other changes discussed in subsequent sections. We assume that S&P 500 companies would be able to retain half of the benefit, or roughly $8 of 2018E EPS. 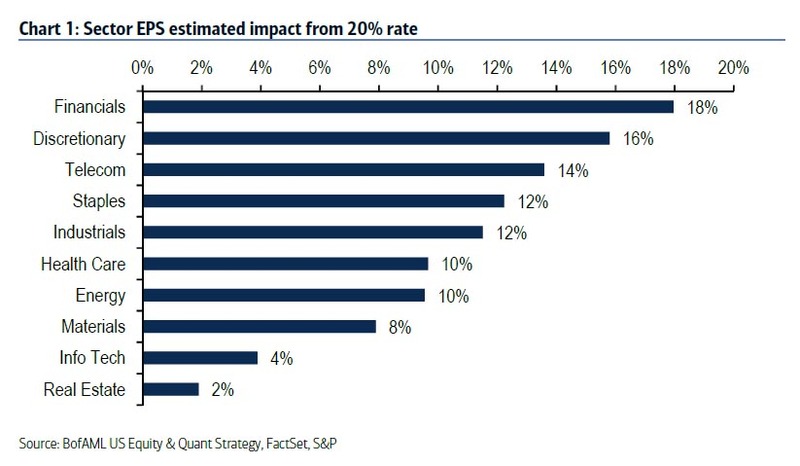 Below, we show the estimated EPS impacts on each sector based on a tax rate of 20%. 9.How Many People Do You Think Told Robert Kraft He Was Nuts to Pay $175m for Patriots? In 1994, Robert Kraft owned Foxboro Stadium, then the home of the New England Patriots, and rejected a $75 million offer to buy out the lease. If he had sold, it would have allowed the team to move. Instead, Kraft paid a then-NFL record $175 million to buy the team and keep it in the Boston area. It was a gutsy move for a team playing nearly a decade’s worth of bad football in an outdated stadium, dishing out the equivalent of about $300 million in today’s dollars. Now the Patriots are the second-most valuable team in the NFL, valued at $3.4 billion, with a B, according to Forbes.com’s latest valuations. In 2000, the Patriots were considered just slightly above average with a value of $464 million compared with the average NFL team of $423 million. 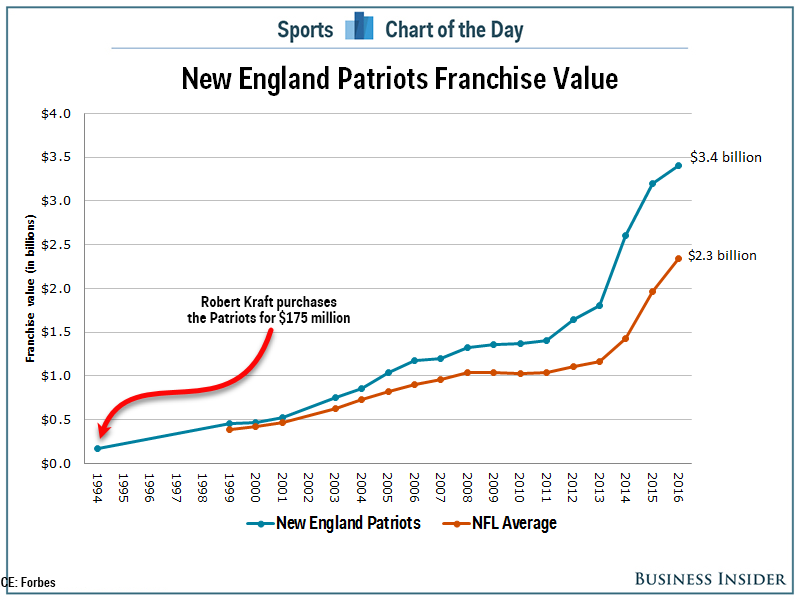 Since then, the value of the Patriots has increased 633% while the value of the average NFL team has increased 453%, and there are reasons to think the team is actually worth more than that. They don’t start on time.. They don’t finish on time..
What’s in the middle is a waste of time! It’s true–many meetings are a waste of time! Unproductive meetings can cost your business big time. 5 people x 1 hour = 5 hours. Multiply that by everyone’s hourly value. You better be increasing production or don’t hold it. Define the purpose of the meeting. Define the outcome of the meeting. Have a timed agenda and someone in charge. Why are we holding this meeting? If you can’t answer that, don’t hold it. -To set targets and coordinate the sales team for increased sales for the week. -To help the salespeople with their deals so they can sell more. 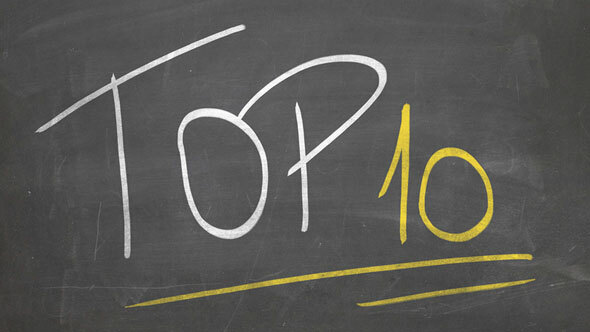 To set an agreed list of essential targets for completion across the business for the coming month. To fix responsibility for these targets and dates for their execution. An outcome is something of value. It is finished. It will be closely aligned to the purpose. You should work toward the outcome as you are holding the meeting. An understanding of the person/business and its challenges. Understanding of you and your business. It also could be: You have identified if they are a “now” prospect, a “later” prospect, or a “never” prospect. Of course a “profitable sale to the prospect’s requirements” could also be an outcome! This may apply more so to internal meetings. Your meetings will go out of control someone doesn’t control it! Someone should be totally responsible for obtaining the outcome of the meeting. 9 am – Review last month’s sales, income, and delivery. 9:20 – Recommend action items to increase sales, income, and delivery. 9:40 – Review strategic plan and ensure action items align to it. Opinions will de-rail a meeting and waste your time more effectively than anything else, particularly if from someone who’s job it’s not! (See point 5). Insist people come with their figures, their plans, what was done, what was not done, Their solutions to increase production etc. Challenges WITH solutions. No one wants to listen to 10 minutes explaining why they didn’t do their job. Someone who doesn’t mind hurrying people up and cutting people off if they are off-topic should run the meeting to the agenda. Don’t let the Sales Manager talk about how Production should be delivering. 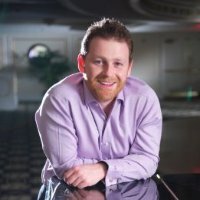 The National Sales manager should talk about what deals they are going to get closed and what is needed to get them closed. Coordination between different departments and roles is a vital function of meetings and you’ll get more of it if you stick to this point. Until next time, may your meetings start on time… finish on time… and be a good use of time! I’m the 200 Million Business Coach. I provide Results-Driven Coaching Programs that help business owners achieve their goals faster. I’ve created a printed version of this article and the W.A.I.T flowchart so you can easily share this before your next meeting. Go here to download.